Create transformation that copies a model. A complexer transformation is the generation of an copy transformation. You select the target container and the input model. If your project isn't an ATL project you can add the ATL nature to the project. 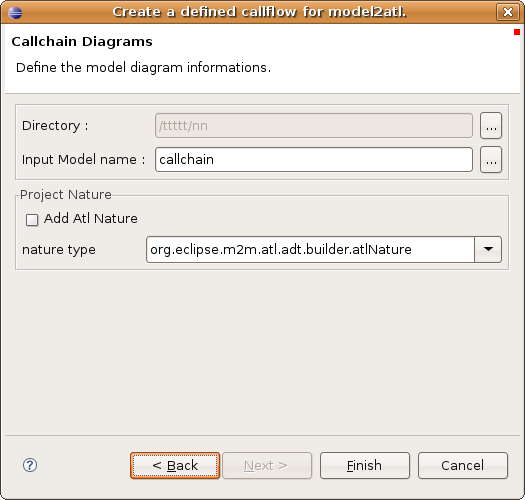 After finishing the wizard the nessesary files are created and you can open up the callchain_diagram file. 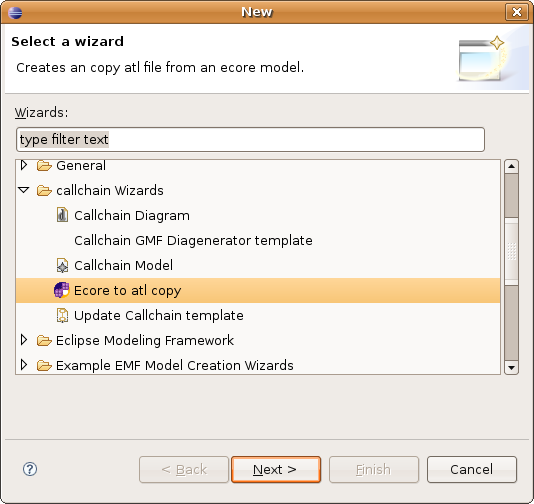 From here you can start the transformation via context menu on the call element ecoreToMapping. 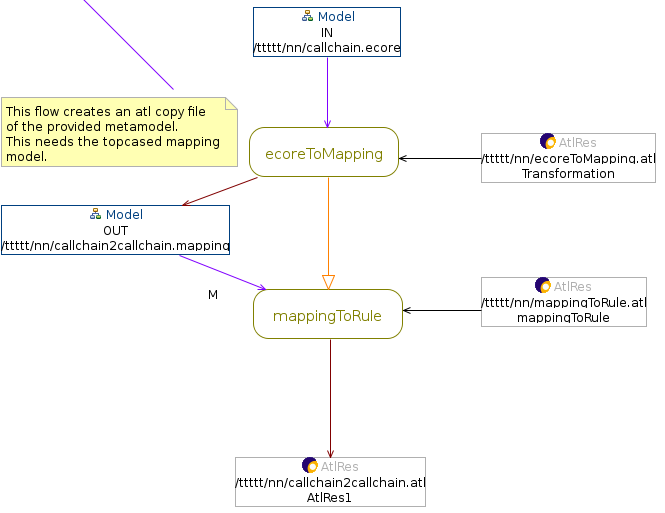 The ecore model is transformt to an mapping model in the ecoreTo Mapping transformation, and this model is queried by the mappingToRule transformation to produce an artifact an atl file. You can customize the atl code in the mappingToRule.atl file.